EXPRESS! 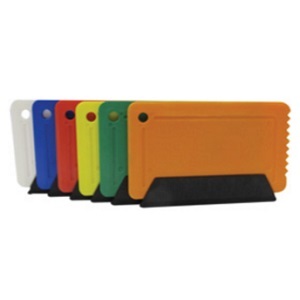 Credit Card Sized Ice Scraper - Express Corporate - Promotional Products - Delivered Fast! A credit card sized scraper with an integral rubber strip. Can be printed on both sides in up to 4 spot colours. UK Manufactured Colours/Notes:- Available in all standard colours. Price includes single colour print to one side.